chosen as their A element will be featured in their post. Adorkable, Adorable Arrows and absolutely nothing left are my A's! I used the last of this paper pack called Superhero, retired, after making invites to my boys birthday and thank you notes for it! I love using up a paper pack, though this is about the 20th card and a single page layout too, all from scraps! 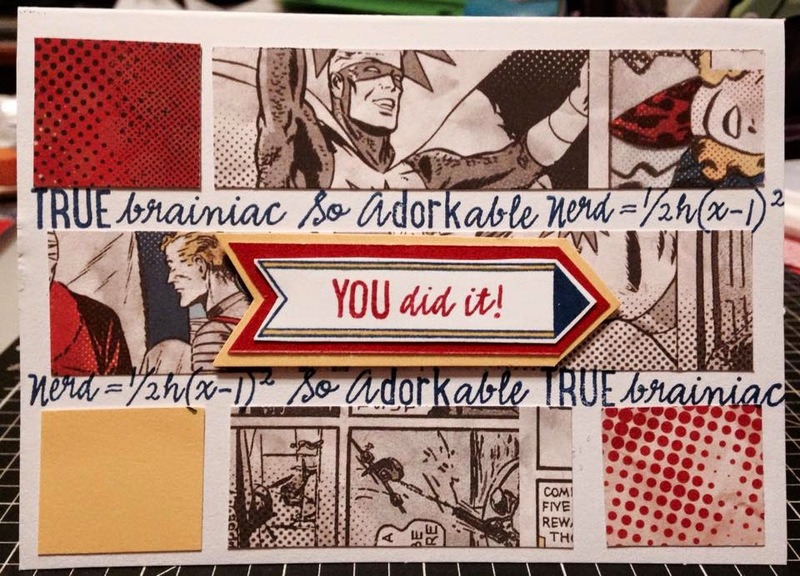 The Adorkable and the other stamps came from the Geek is Chic stamp set (D1599)! This is one of the first stamp sets I bought from the Annual Inspirations Idea Book! I am married to a geek and I am a bit of one myself, but I hadn't found a place to use it! The papers on this card were a little blah and I wished I had put the whole card on blue paper but I love how the stamping stand out and complements the paper! The Arrow was another perfect A accent! I stamped it and then added the You Did It! and layered it on Cranberry and Canary and popped it off the page with our Thin 3-D Foam Tape, which is perfect for cards and scrapbooking where you don't want a lot of bulk! Overall I am extremely happy with how this card that I thought was pretty blah to start with turned out! Be sure to check out the other A's on the rest of the blog hop! Your next stop on our Everything ABC'S blog Hop is Catherine Nowak ~ Catscrapbooking ! I really like how this card turned out. 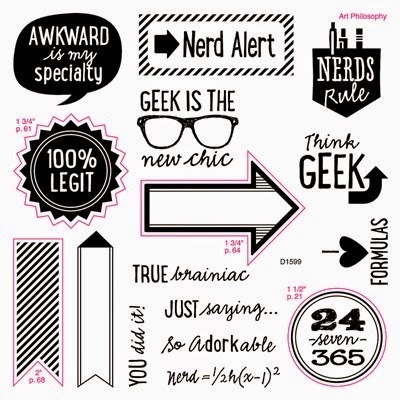 Super cute and I adore the Geek is Chic stamp set. Cute! I love using scraps till they are all gone. Using 5 stamps on one card (I need to get this set), using scraps until they are gone, You are absolutely rocking! Great card. Love the way you used this stamp set. Ah I love that paper pack, wish I had gotten it but it had retired before CTMH came to New Zealand. That stamp set is one of my favourites too. Cute card! I have some of that paper left, too, and I love how you've used it. The stamps are a perfect complement to finish out the card.